The Blue Jays confirmed that Marcus Stroman will be the starting pitcher for the regular season home opener this afternoon. Even after all of the drama of the last few weeks, is this really a surprise to anyone? 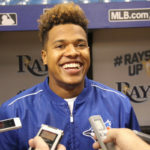 Despite recent remarks concerning roster personnel, management decisions, and clubhouse morale, we all knew that the Jays had Stroman in mind for the opening day start. You know why? It’s a simple matter of drawing a crowd to the stadium to fill seats, and the brass knows that Stroman brings showmanship to the roster and on the hill like no one else. Now some may want him gone, others may want him to stay – but regardless, there is more to this decision than meets the eye. 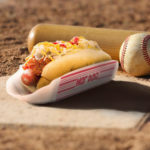 Stroman has the shimmy shake, the bodily quake, and the hot headed passion to add just enough flavor and intrigue to opening day festivities. Despite all the other talent in the clubhouse, I believe that this was a calculated, strategic move to try and draw a bigger audience to a game that will mark the beginning of the season and may highlight where the team sits with their fans. 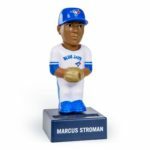 On top of Marcus getting the start, the team is also offering cheaper food and booze at Rogers Centre with a chance at a 50/50 draw prize estimated at $500,000 in support of the Jays Care Foundation on opening weekend. So what does all this say of the organization and where they’re at with fans? I think that ownership is finally understanding that offering tickets at high prices and expensive food and drinks paired with the lack of performance and playoff runs has left a bitter taste in some fans’ mouths. And if they are finally waking up then this may be the start of many moves to win back the adoration of the faithful. As Blue Jays fans, we’ve all been through baseball purgatory over the past few years; unpopular trades, endless injuries, sad playoff defeats, and on and on it goes. The die-hard fans are clinging to hope like a dog to a bone with the promise of a better roster, fresh leadership, and a new direction for the team. We haven’t witnessed a tear-down and subsequent rebuild of the team like this before. Since the glory days of the back-to-back championships, the franchise simply stalled. Rebuilds and retools have been tried before but they always seemed to hit an impasse, a directionless spiral. They simply never got off the ground. 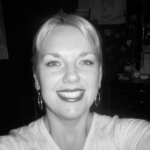 Now fans are seeing and hearing of legitimate changes that may be shocking and unexpected, but overall are warranted. After all, if what existed before was not working, it has to be fixed, right? A rebuild can be a double edged sword; great if it works, a failure if it doesn’t. Look to the Houston Astros and Chicago Cubs compared to the fledgling San Diego Padres and Cincinnati Reds. 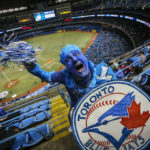 Jays fans should be accustomed to hard times, hard knocks and hard losses, but should they also prepare for the prospect of success, progress, rejuvenation, and hopefully an inevitable revitalization. Before we all get caught up in the hoopla, there are questions that still need answers; how will the pitching rotation work? How will management handle a crowded outfield? Who will play infield? How will Charlie Montoyo find his footing and carve out his impact? Let’s hope that 2019 is a new beginning, with renewed interest from fans and an emboldened awareness from the upper echelon of baseball rulers in this city who know that we are always watching, and that we’re still waiting. We will be there for opening day. We will scrutinize the pitching of Stroman, the play of the infield and outfield. and ultimately find ourselves caught up in the excitement that is opening day whether we want to or not. After all – when the Stro Show is on, what choice do we have but to tune in to watch and enjoy our beloved Blue Jays?